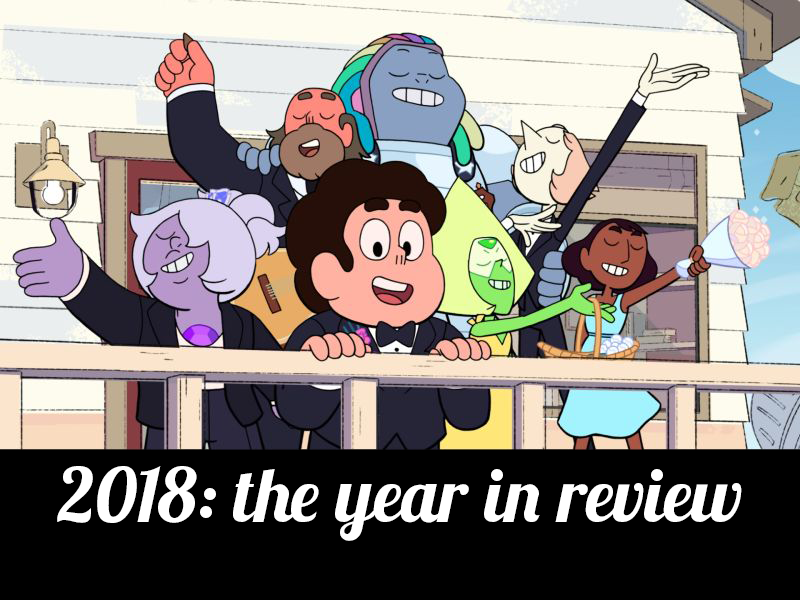 We’ll just pretend that in the featured image, Steven and friends are getting ready for the new year, haha. It’s December! (Well, it has been for two weeks now, actually.) And with the end of the year nearly here, I figured there’s no better time to look back at some of the more exciting things that happened here in Crafty Nerd land, and look forward to next year and where I’m hoping to go with the blog! So, without further ado, here’s a look back at 2018! In January of this year, I took part in my first ever crochet-a-long! It was an interesting experience, especially trying to focus on one specific project for roughly two months. Eventually, I got distracted by other projects (as is often the case with me and crafting), and finally finished the darn blanket in June. Given my propensity to lose focus on a project and switch it out for something else for a little bit, I’m not sure if crochet/knit-a-longs are for me, but I did have fun making the Woodland Blanket! Back in May, I started learning how to play Magic: The Gathering! FINALLY. It’s something I tried to pick up back in college, way back in the day, but the guys from the Gaming Club who were going to teach me Magic got distracted by another game and I never actually learned to play — until this year, when J started teaching me the game. I recently picked up my first deck, and did some customizing to it (with J’s assistance, as he’s been playing for many, many years), and won the first game I played with it! I’d been meaning to post about how I started learning how to play, but I only got so far as a half-written draft of a post. Ah well — I’ll likely do a post soon that goes into a little more depth on my start into the crazy world of Magic: The Gathering. 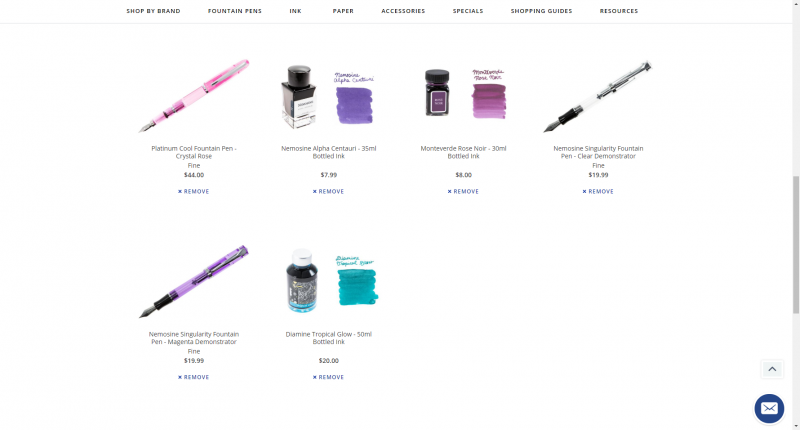 I started collecting fountain pens, which has been a fun hobby to get into. 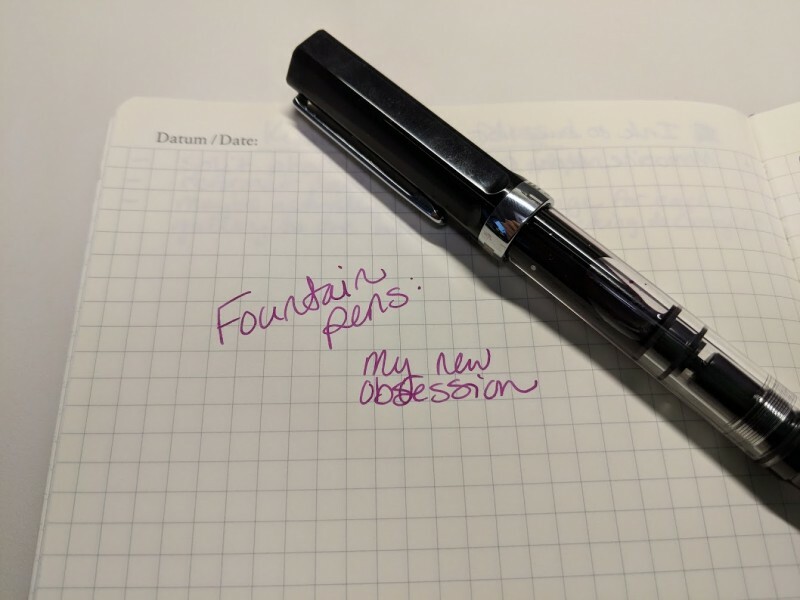 Granted, I’m not planning on buying incredibly expensive pens or anything, but I’ve got a couple nice ones, and I do love that I can keep using a favorite pen while putting new ink into it to keep things interesting. 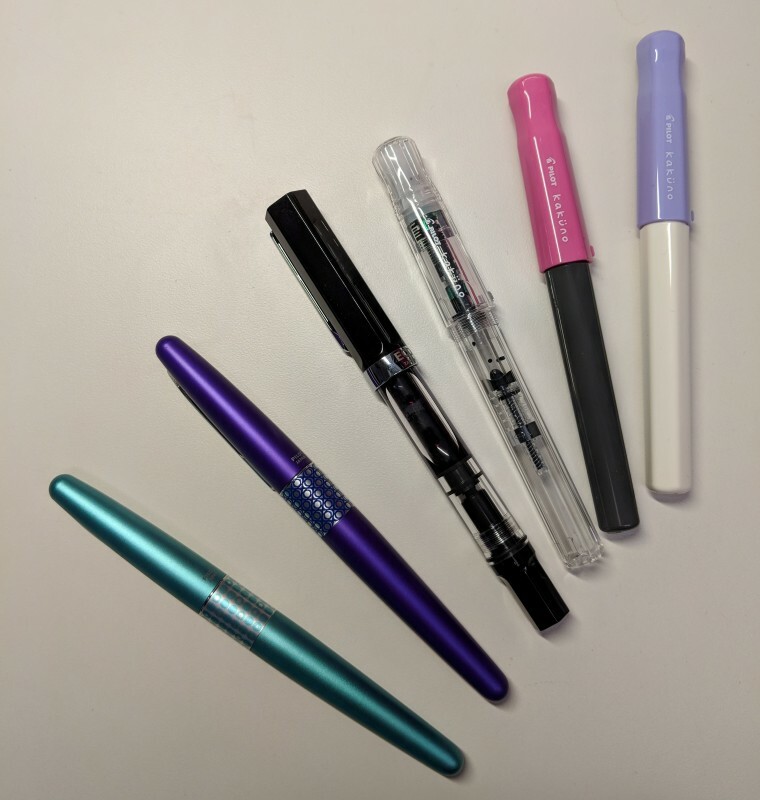 My 9th pen is due in the mail any day now, and I’m excited to fill it up and add it to the collection! I started 16 different yarn craft projects this year, and managed to finish 10 of them — which, for me, is actually pretty impressive. I made a lot of shawls, a couple of blankets, and worked on a couple of sock projects I started last year (and still haven’t finished). I still need to block some of those shawls I made, and I really need to give my neighbor the mitts I made for her, but overall, I’ve made some pretty darn good progress in my yarn crafts this year. Post more reviews: I read a lot, play a fair number of different types of games, and watch a heck of a lot of TV — which has largely been an untapped resource for interesting blog posts. However, I’ve got that reviews category here on the blog, and I should fill it up with posts on things I’ve discovered that I want to share with everyone. I’m going to try to do one review post a month next year, in hopes that’ll give me something to write about when I can’t really think of much to share on the blog. Maybe start a Crafty Nerd podcast: I’ve been wanting to do a podcast of some sort for The Crafty Nerd for ages. I do a lot of video and audio editing at work, and I really love it — and I’d love to incorporate it into what I do here at The Crafty Nerd. I’ve been learning how to work with Adobe Character Animator, and I’d really love to use that for a video podcast of sorts here on the blog. We’ll see what next year brings! So, that’s what happened this year and a little of what I’m hoping for next year! I hope everyone reading this has a happy holiday season and a fantastic new year, and as always, thanks for reading The Crafty Nerd. 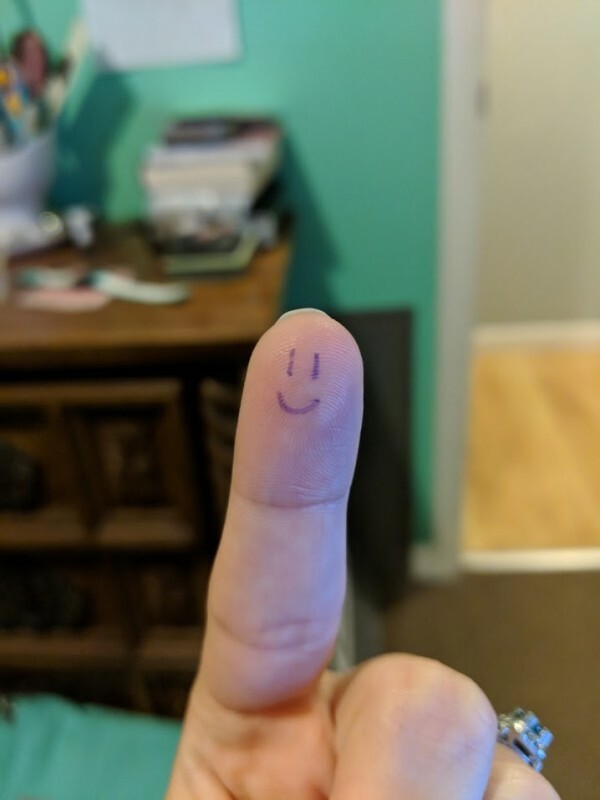 Here’s to making next year awesome!